Our Tray Table is a multi-functional beauty. 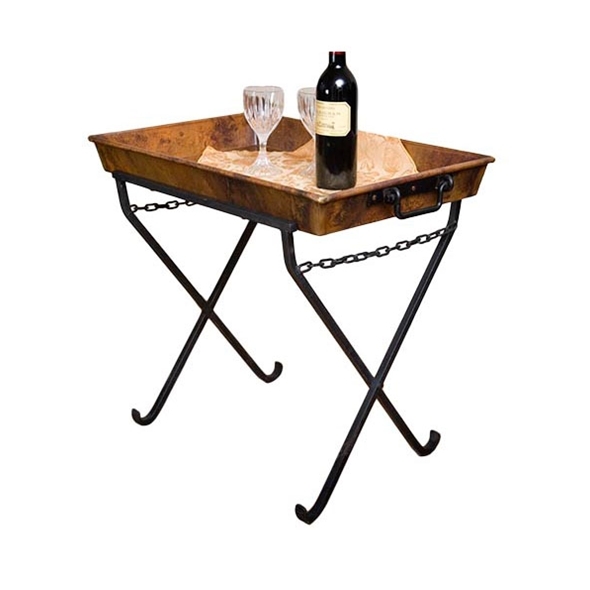 The large solid copper tray can be lifted off the cast iron base and used for serving. It is compact enough to work in a variety of settings. When not in use, the base folds flat for easy storage.